Interactive self-evaluation tool widens sales funnel, boosts call-back requests and makes sales reps more successful. The Indicator explores how well organisations are connecting employees, engaging customers, operating efficiently and planning for change. This report reveals which organisations are leading the charge and uncovers the drivers and constraints of Readiness. 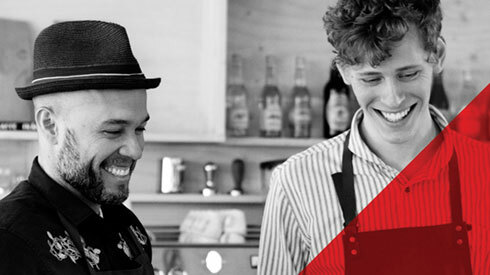 Vodafone created their Ready Business Indicator to engage with SMEs in a new way. The self-evaluation tool, built by Accenture Interactive, moved conversations to a more strategic level and started engagement further down the sales funnel. More than a sales tool, the Indicator is about ensuring that the United Kingdom's small and medium-sized enterprises (99 percent of UK-registered companies) do more to grasp opportunities created by our digital economy. SMEs are critical to the UK economy, but continuing success depends on digital engagement with customers. Reports showed that small- and medium-sized businesses weren't as ready as they need to be. Adapting a similar tool already proven successful in Turkey, Vodafone asked Accenture to build a web-based Ready Business Indicator. This easy-to-use self-assessment tool lets SMEs benchmark their digital readiness against industry standards. They evaluate where they are today, and where they want to be in the future, in four key business areas. With each answer, the system automatically updates their readiness against their industry average. At the end, users can choose to get a copy of their digital readiness report, or have a Vodafone representative call them to talk about boosting their readiness. The Indicator is the primary customer interaction tool in a broader campaign that includes advertising, content marketing and events. A sophisticated infrastructure records and analyzes every click. After six months, more than 7,305 unique users had completed more than 4,500 assessments, giving Vodafone more than 65,000 answers. They widened their sales funnels across all regions and sectors and booked £500,000 in new business. Fifteen percent of respondents request a call back, and happy sales people say they're having more strategic conversations. These early indications promise ongoing results for SMEs, Vodafone and UK plc. Vodafone has also analysed the results to produce a snapshot of the digital readiness of the nation’s business, identifying the most common pain points and suggesting solutions. Accenture was nominated for the Digital Communication Awards 2016 for outstanding accomplishment in the field of digital communications and PR strategy in the category of B2B Communication.